In partnership with the SPFL Trust, we have delivered the popular Football Fans in Training (FFIT) programme now over the past few years. 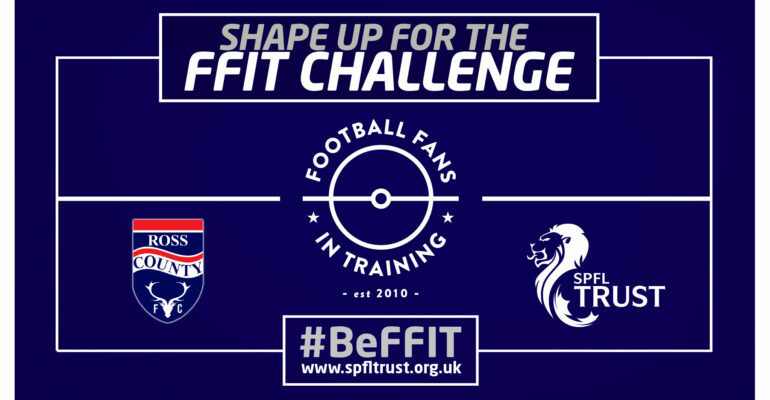 FFIT aims to help supporters become more active, shed a few pounds and improve their general health – and the best part is it’s completely FREE. The next FFIT course is aimed at men & women aged 35-65, who have a BMI of 28+ and a waist (belly) of 40 inches. The course is a must for those who want to get fit, lose weight and become healthier. This course will run for 12 weeks from Monday 8th January, at The HFA Dingwall with a limited number of places available. Participants will receive their very own training top and will work closely with RCFC Community Coaches. During this time they will take part in physical exercise and will also learn about weight management, diet, healthy eating and alcohol awareness amongst other things. Over the 12 weeks the course will cover key areas including portion sizes, alcohol, motivation and step counting. Remember these sessions are FREE thanks to funding from The SPFL Trust!